Last week’s party was lots of fun and I can’t tell you how much I appreciate everyone coming by as well as my amazing co-host Marilyn who hasn’t minded being peppered by questions and talked me off the ledge as I struggled with making buttons. EVERYBODY had amazing ideas but I’m going to highlight a few that especially caught my eye. 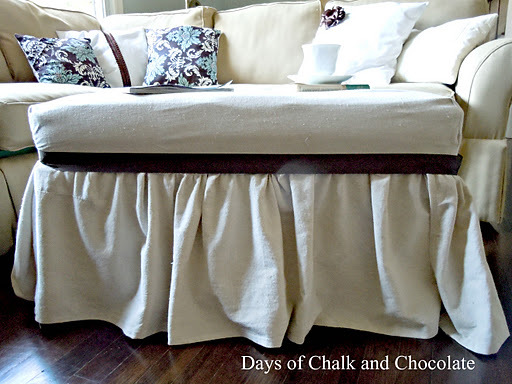 Daysofchalkandchocolate redid an ottoman and turned it into a piece of lovliness. 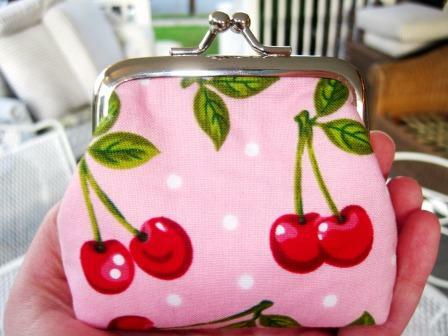 Sweetbeebuzzings sewed (that right off impresses this non-sewer) a new change purse! Don’t you love the cherries? YES! It’s made out of old sweaters! My contribution this week is of the meaty variety. Usually on a Thursday we have leftovers. I clean-out the fridge, work on my Food Waste post (muttering, darkly under my breath) and try to have an early night. Recently though, I not only had zero leftovers to finish-up but I had a bit of extra energy. Shocking. 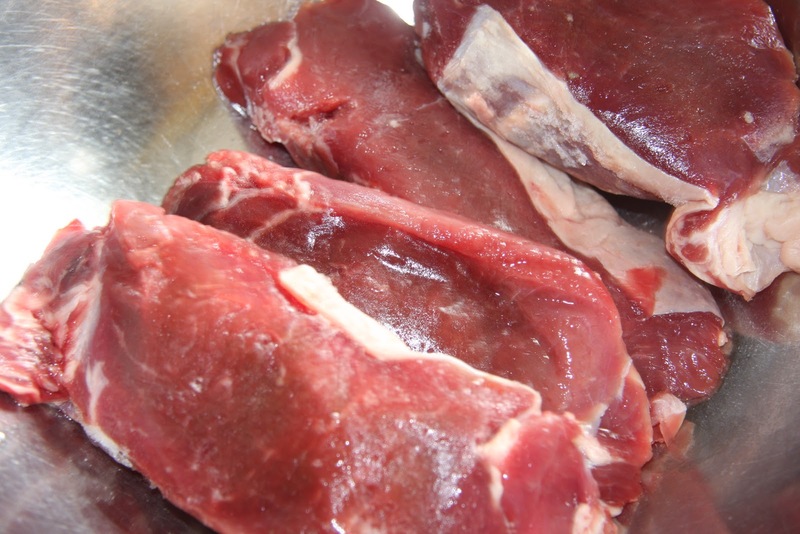 I even, before I went to work in the morning, remembered to take out some gorgeous steak tips that I’ve had in the freezer. This is a minor miracle in of itself. Here’s what I came up with. 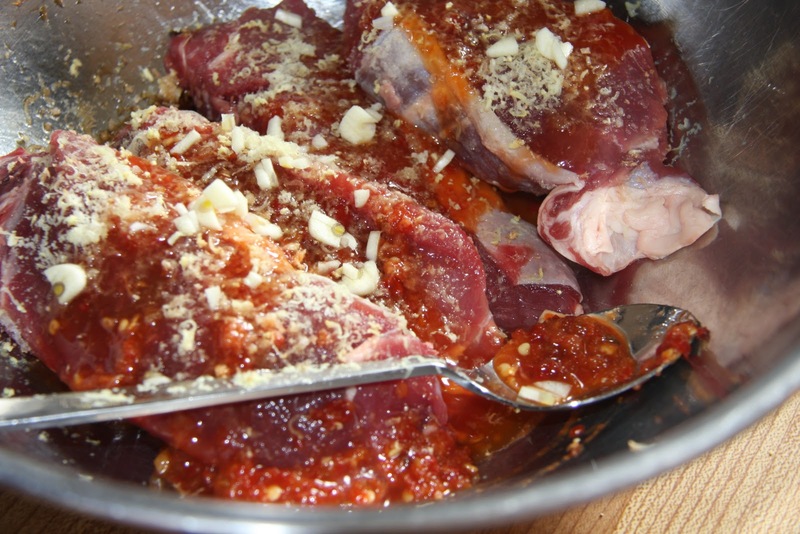 My marinade; 1 T. chilli garlic sauce, 1 chopped clove of garlic, 1/2 inch of ginger grated and 1/4 cup sweet chilli sauce. Come home from work; grill meat. While your meat is grilling; cook 1 package of soba noodles. 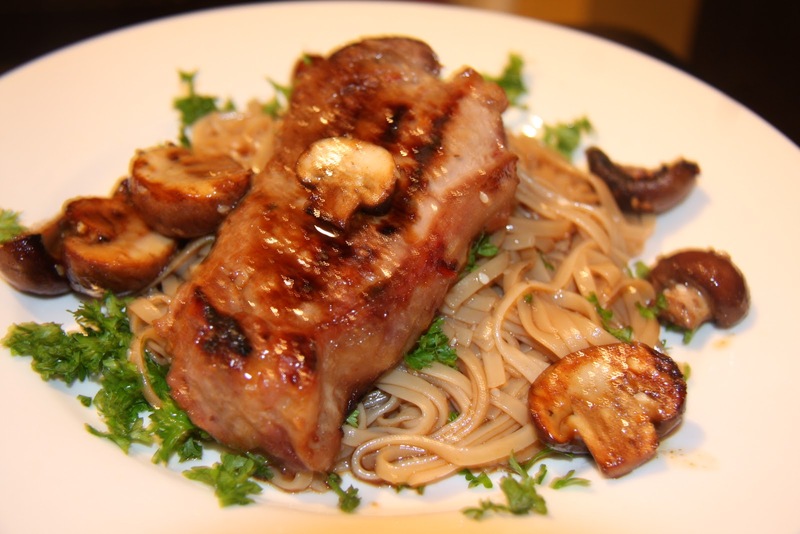 Dress the noodles with 1/4 soy sauce, 1/8 cup sesame oil, handfull of fresh parsley, dash of lemon juice, 1 tsp. honey and 1 T. sesame seeds. Grill some mushrooms (dip in the noodle dressing before hand and they will get a lovely crust on them) as garnish. And now onto your amazing ideas! Kate! So glad to have you. Can't wait to explore everyone's projects this week. Gorgeous ideas! 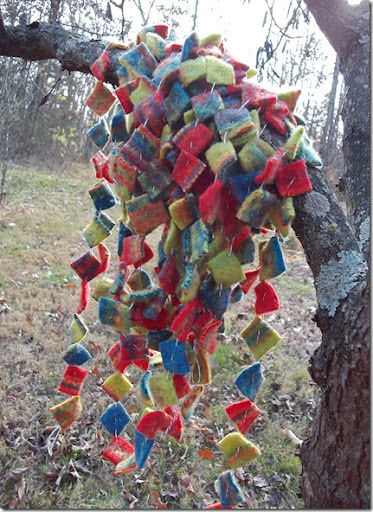 Thanks for featuring my wool garland! I am sitting here giggling at the fact that I CAN NOT find your buttons!! ;)I linked up and I am your newest follower!!! THANKS!!! So glad you linked-all my buttons are on the top right of my blog. Thank you so much for featuring my ottoman! It's in such great company!